Like its namesake helicopter, hoverflies often hover over flowers. Hoverflies are bee mimics. 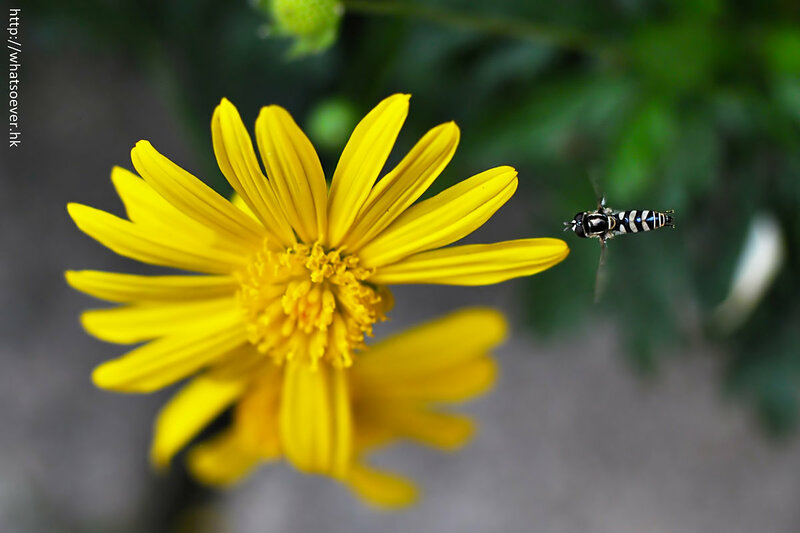 They are also known as flower flies or syrphid flies. They belong to the family Syrphidae. The adults of hoverflies feed mainly on nectar and pollen, while the larvae (maggots) eat a wide range of foods. In some species, the larvae are saprotrophs, eating decaying plant and animal matter in the soil or in ponds and streams. In other species, the larvae are insectivores and prey on aphids, thrips, and other plant-sucking insects.